GrapheneTech´s GPA Graphene Nanoplatelets products consist of high quality graphene powder based on graphene nanoplatelets. GPA is manufactured using a patented “top-down” approach exfoliation method. GPA Graphene Nanoplatelets can be used in a wide range of applications such as composites, paintings, conductive inks or transparent coatings. 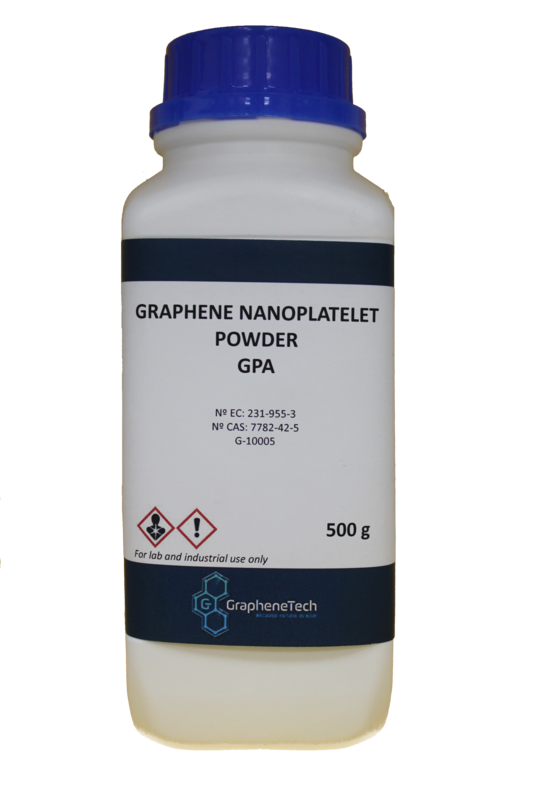 GrapheneTech´s GPL Graphene Nanoplatelets products consist of high quality graphene powder based on graphene nanoplatelets. GPL is manufactured using a patented “top-down” approach exfoliation method. GPL Graphene Nanoplatelets can be used in a wide range of applications such as composites, paintings, conductive inks or transparent coatings.